Professor at the School of Agricultural Economics and Rural Development, Renmin University of China. 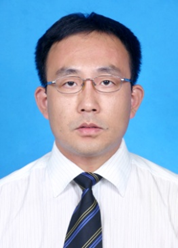 He graduated from the Chinese Academy of Science in 2005, and his major research fields include agricultural economics, resource and environmental policy, and spatial general equilibrium modelling. He published more than 110 papers in international and Chinese peer reviewed academic journals, including journals such as PNAS. He has received the "Outstanding Young Scientist" award from the National Natural Science Foundation of China in 2012 and the "Young Chang Jiang Scholar" award from the Ministry of Education of China in 2015.